What’s so funny about dirty water? Not a whole lot. When I was a kid, you could swim in the Santa Monica Bay without having to worry about contracting hepatitis; today, every surfer I know is vaccinated against it. My friends say similar things about lakes in the Midwest and rivers in the East: The waters are no longer safe to fish and swim in, not to mention drink. The contamination comes from so many sources: fracking, big agriculture, industrial manufacturing, just to name a few. And it seems like the lack of government regulation has let pollution spiral out of control. So the idea of making a joke out of it? That didn’t make a lot of sense, to me. But that was before I learned about the Waterkeeper Alliance, which is supported by Sarah Silverman, Ray Romano, Martin Short and so many other incredible comics. If these people can’t make us laugh about dirty water, who can? If 10,000 people take the Dirty Car Pledge, we could save nearly three million gallons of water in one month. Click here to sign up! I was one of the lucky few to attend the Keep It Clean Live Comedy Benefit hosted by the Waterkeeper Alliance in Los Angeles recently, where these comedians and more took the Avalon Hollywood stage to make us laugh about dirty water. It was truly a surreal experience—Camryn Manheim chuckled from the seat behind me me as tears streamed down my face watching Tig Notaro riff on sick people in swimming pools. Brad Garrett poked fun at traditional awareness-building videos—using one of Waterkeepers’ own, a slow pan over a river full of bloated, dead fish—before premiering part of a series of comedic “Keep It Clean” videos that will debut this spring. 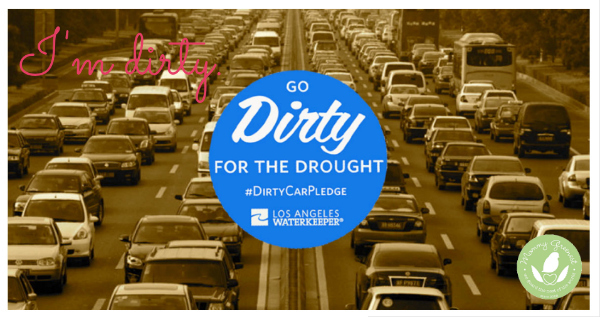 In Los Angeles, where drought is currently a big issue, the Los Angeles Waterkeeper Alliance recently launched the “Go Dirty for the Drought” campaign, in which Angelenos take the Dirty Car Pledge for 60 days, placing a static-cling sticker on their cars to commemorate. In the six months since the Dirty Car Pledge launched, 12,000 people have participated, saving 3.5 million gallons of water. I’m in! Los Angeles residents use an about 122-129 gallons of water each day, versus drought-stricken countries like Australia and Israel, where usages has dropped by half. Washing your car at home uses 85 gallons of water, on average; a car wash uses 56 gallons—even if the facility recycles water. If 10,000 people that normally wash their cars every two weeks take the Dirty Car Pledge, we could save nearly three million gallons of water in one month. Want to do your part? 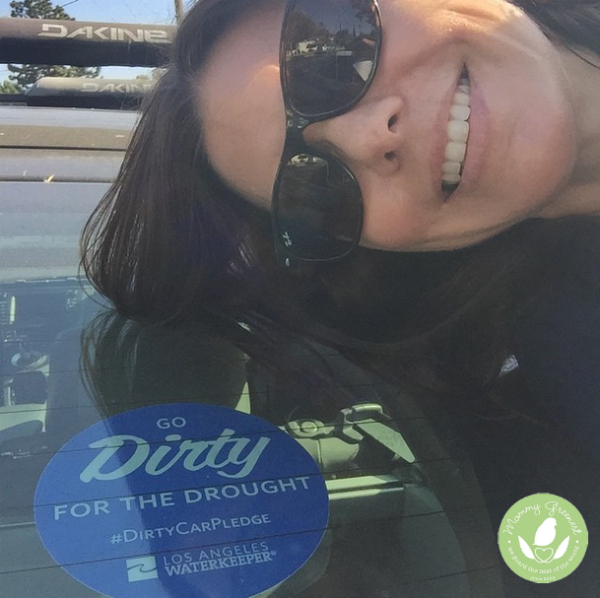 Join me and click here to sign up for the Dirty Car Pledge today!